Ward Village Winter Ice Skating — Jack Tyrrell & Company Jack Tyrrell specializes in Kakaako, Honolulu, Hawaii luxury condo projects. In Honolulu, we are blessed with sun and great weather all year-round; it rarely feels like a true 'winter.' But this year, Ward Village has brought something new into town that might make it feel a bit more like winter. 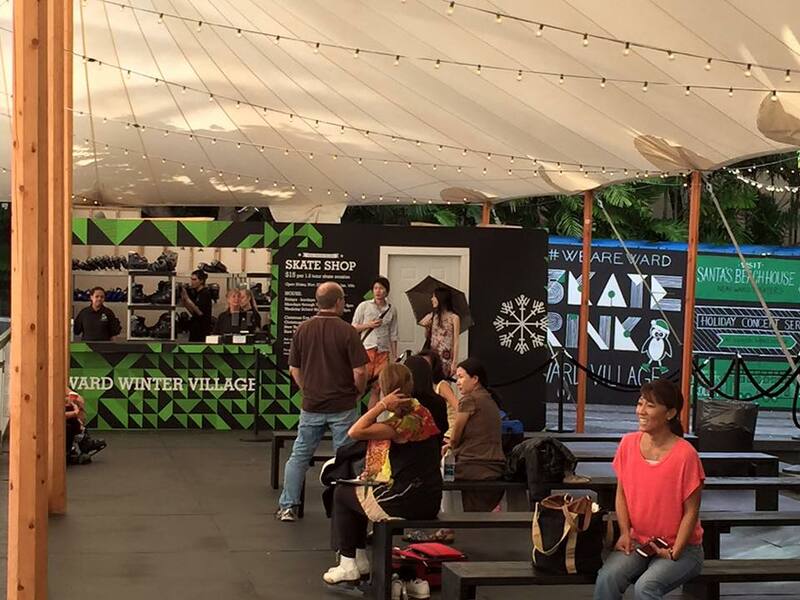 Check out the new Ward Village Ice Skating Rink behind IBM Building- the first holiday ice skating rink in Honolulu! Hours are Fridays-Sundays (and weekday school holidays), 10 a.m.-9 p.m.; Mondays-Thursdays, 4 p.m.-9 p.m.
Kope Coffee Co. will offer hand-crafted beverages and refreshments, including hot cocoa, espresso drinks and more. Tickets, which include skate rentals, cost $15 per person for a one-and-a-half hour skate time. The rink will be up until January 10, 2016, and can fit 120 skaters at once.